Biden may be playing coy on a 2020 run, but he's anything but on the trail. 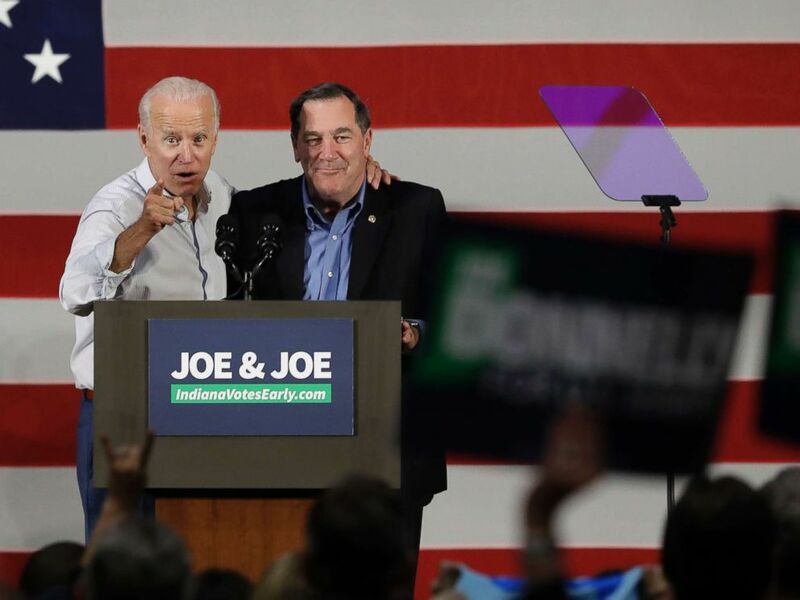 (Darron Cummings/AP) Former Vice President Joe Biden, left, and Democratic Sen. Joe Donnelly speak during a rally, Oct. 12, 2018, in Hammond, Ind. Biden's appearances Friday with two red-state Democrats could be an indicator of Biden's unique appeal in the Democratic party as a politician who can win over blue-collar voters -- a bloc he believes Democrats will need to win back the White House in 2020. “I know, as I said, that I’m called middle-class Joe. It’s not meant as a compliment -- it means I’m not sophisticated. That’s been my handle for the last 40 years. But I know what made the country what it is: ordinary people doing extraordinary things,” Biden said to a large burst of applause Friday. His remarks at campaign events focus on solutions for the middle class -- as well as drawing a sharp contrast with President Trump. “The question is not who is President Trump. America knows who he is,” Biden said in Kentucky. “The question is: ‘Who are we?’"
(Bryan Woolston/AP) Former Vice President Joe Biden speaks during a campaign event for Kentucky democratic congressional candidate Amy McGrath in Owingsville, Ky., Oct. 12, 2018. 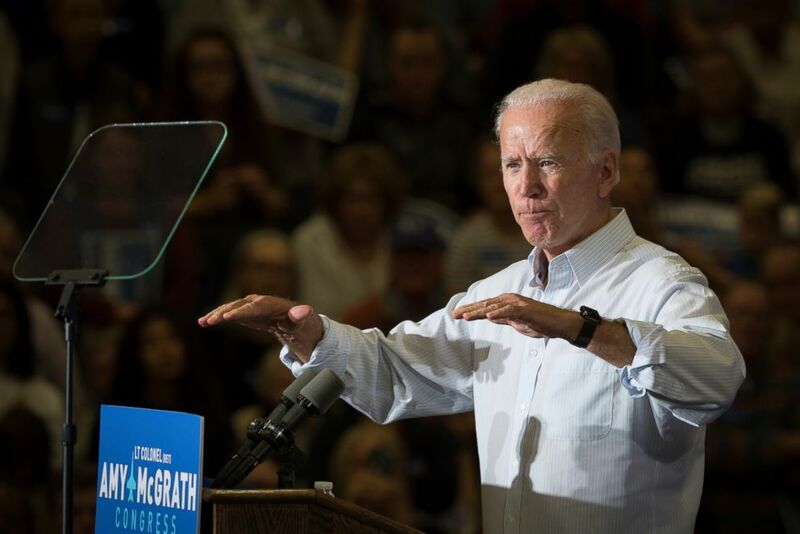 In Bath County, which is nearly 97 percent white, the majority of which do not have a bachelor’s degree, Biden drew a crowd of more than 2,200 people while campaigning with Amy McGrath for Kentucky's 6th district. What remains to be seen is how effective a counter Biden could be to President Trump in the midterms. The two, who have engaged in tough talk in the past, stumped for candidates in Kentucky’s 6th district -- one of the most closely watched races of the midterms -- within a day of each other. While Biden was focused on ginning up the vote for McGrath in Kentucky, the crowd was already looking ahead to 2020, chanting "Run, Joe, Run" when McGrath praised him for coming back to the campaign trail after leaving the White House. Biden said Wednesday he is not a candidate for 2020 "at this point," but will make a decision about a possible run by January.